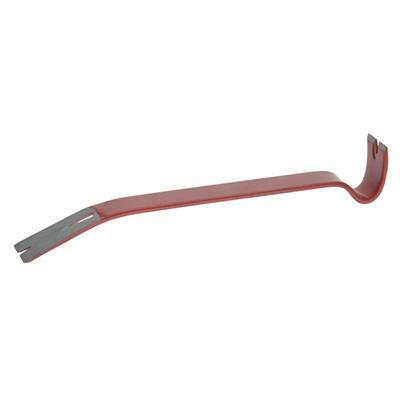 Emergency 15-inch crow bar for search and rescue. Our 15 " Pry Bar is invaluable for removing debris after an emergency, and for using as a lever to pry open jammed shut doors and/or windows for search and rescue operations. Slotted claws on the chisel ends can be used to remove nails. Remember that doors and windows can become jammed shut following many disasters or emergencies (earthquakes, tornados, hurricanes, explosions, etc.) and you can become trapped. It is recommended to store these pry bars in strategic locations to assist you in exiting your home, car, office, etc. Dimensions: 1.5" x 2.5" x 14.5"
Ideal for lifting and cribbing applications. Instructions: Pry bars use leverage to work. Putting force on one end of the pry bar increases its power to push up at the other end. Want to Receive Preparedness Tips? © Copyright 2019 Quake Kare. All rights reserved.